Update: The Jeep Lifetime Warranty has been replaced by an Unlimited Mileage plan that is capped at 7 years. The Jeep Lifetime Warranty was an unlimited mileage, unlimited term, factory-backed warranty that paid for repairs on covered components for the entire length of ownership until the vehicle was deemed valueless. Although the Jeep Lifetime Warranty is no longer available, the 7 Year / Unlimited Mileage plan is still the industry's longest warranty available for high mileage drivers. What does the Jeep Unlimited Mileage Warranty cover? Maximum Care, Added Care Plus, and Powertrain. 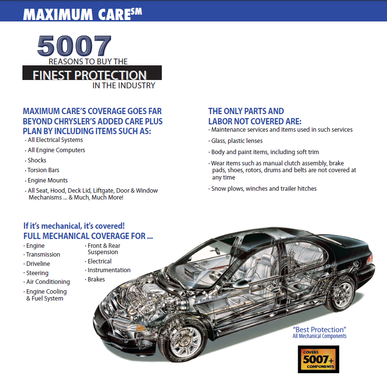 Maximum Care is a full coverage, factory-backed warranty extension that covers the cost of repairs for all electrical and mechanical components. It covers everything except wear items like brake pads, battery, windshield wipers, etc. "If it's mechanical, it's covered," says Jeep. The Added Care Plus unlimited mileage warranty covers the cost of repairs for: engine, transmission, driveline, four-wheel drive, steering, air conditioning, engine cooling and fuel system, suspension, instrumentation, electrical, power windows and door locks. The Powertrain unlimited mileage warranty covers the cost of repairs for: engine, transmission, driveline, four-wheel drive. Each tier of protection also has two choices of deductible copay: $200 or $100. The $200 deductible is tempting due to lower upfront cost, but after a few repairs the difference isn't worth it, because the $100 deductible plan is about $250 more to purchase. With this in mind, F&I Tools analysts consider the $100 deductible Maximum Care Jeep Unlimited Mileage Warranty the best bang for the buck. ​The deductible is applied per repair visit, which is an important distinction. Owners can have several repairs done during a single visit and only pay the deductible once. How much does the Jeep Unlimited Mileage Warranty cost? How can Jeep offer an Unlimited Mileage Warranty? Most of us get excited when we buy a new car and think we are going to "run it into the ground." However, we often start shopping for a new car every few years, and don't drive as much as we anticipate. Therefore, Jeep generates enough surplus revenue from those of us who don't keep our cars to pay for the repairs on those who do. Good news for those of us who will actually keep our Jeeps forever! Jeep, Chrysler, Dodge, Ram vehicles within 4 years / 48,000 miles of original purchase date of first owner are eligible. Subsequent owners may also purchase this protection as long as the vehicle is still within the term and mileage limit. 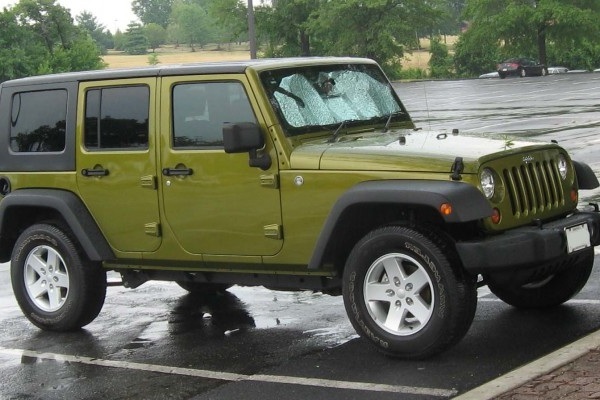 Is the Jeep Unlimited Mileage Warranty transferable? No. The unlimited mileage warranty is not transferable. However, it can be cancelled for a prorated refund if sold or traded.